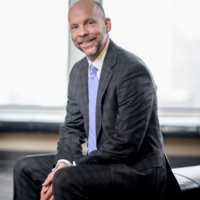 Hilliard Lyons CIO Mark Nickel: "Lessons Learned as a Portfolio Manager"
Mr. Mark Nickel, Senior Vice President and Chief Investment Officer with Hilliard Lyons, will present, "Lessons Learned as a Portfolio Manager." Nickel is a Certified Financial Planner with 20 years experience in the investment industry. He oversees Hilliard Lyons' investment strategy, portfolio management, and investment support for Hilliard Weatlh Advisors and clients. He also leads the Investment Strategy & Research department. Nickel chairs Hilliard Lyons' Investment Strategy & Research Group Roundtable, which meets monthly to analyze market trends and make recommendations. He also chairs the Investment Committee for Hilliard Lyons Trust Company and is a member of its Strategic Planning Team.